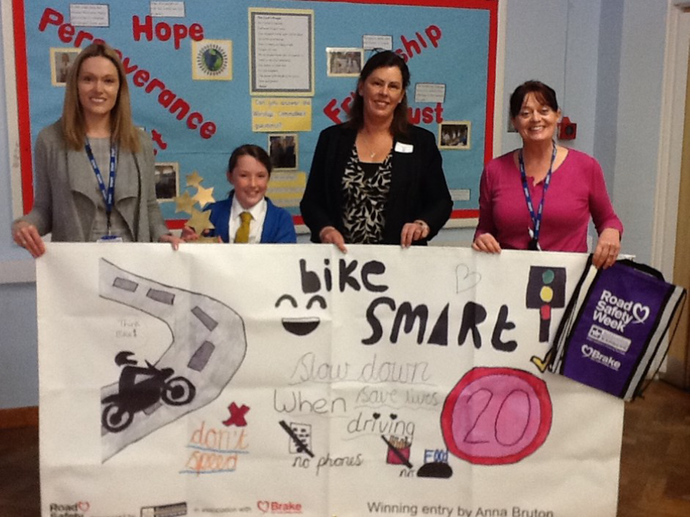 We are thrilled that a pupil from our school has been chosen as the winner of the national ‘Recognition Express Road Safety Week’ competition! She is one of 12 winners who has been selected from around the UK. Her poster design has been made into a full-size banner and is now displayed outside the school. She also received a very special trophy and drawstring bags for every child at St Mary’s. 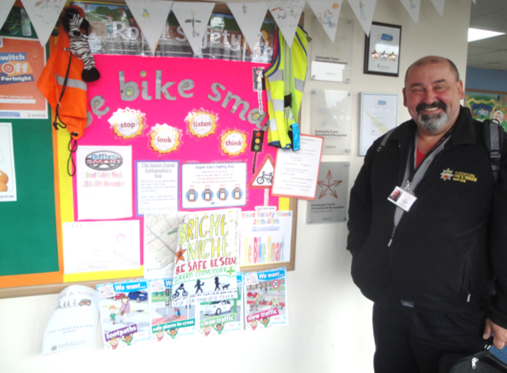 During Road Safety Week each class was asked to fill in the Bike Smart poster with good safety messages for cyclists. 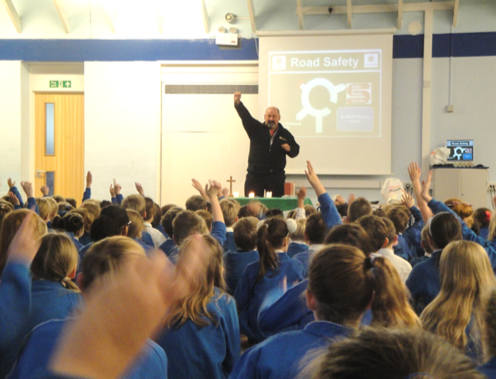 Wearing a helmet was a top choice, along with checking your lights and brakes work! 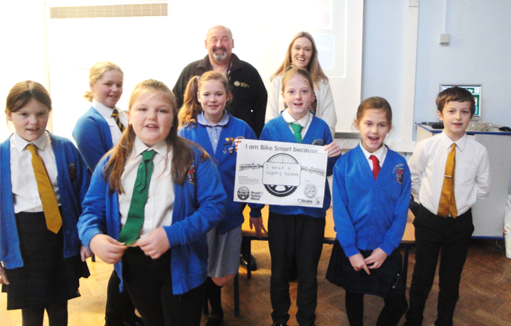 After a special visit from John Rowland at Safer Roads Humber, everyone seemed to like the idea of wearing a helmet to protect their head! This was enforced with a demonstration by John with eggs in helmets.